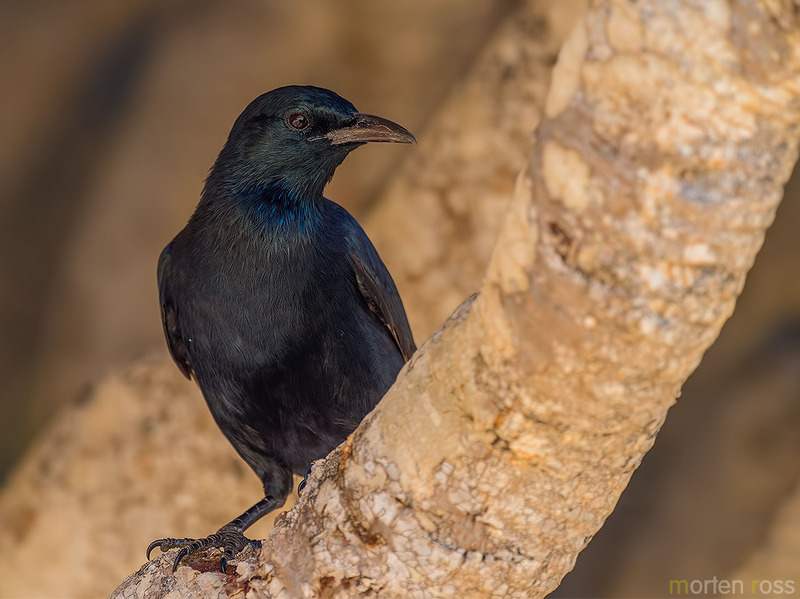 This is the male Somali starling – all-black opposed to the female. 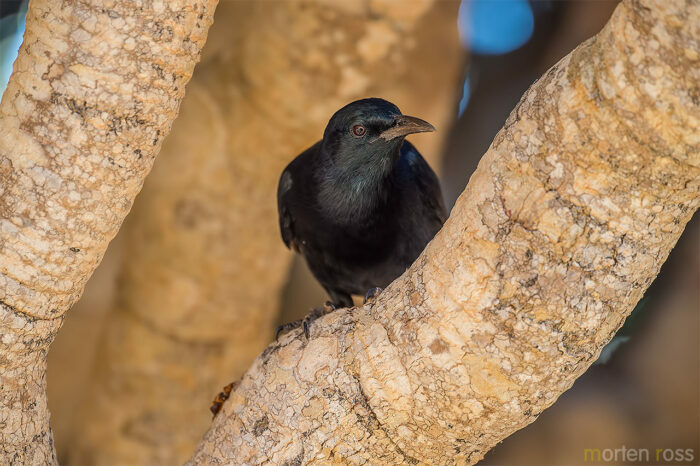 He’s observing me from the branches of the endemic dragon blood tree (Dracaena cinnabari) that provides ample food during fruiting season, which is now coming to and end. 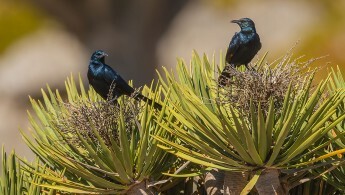 The fruit is toxic to goats and I suppose many other species that have not evolved alongside this magnificent tree species. 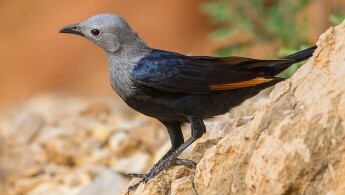 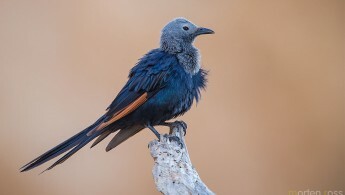 The Somali starling is not endemic to Socotra, but is not affected negatively by the fruit and.